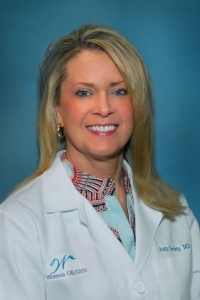 Dr. Deeley completed her medical training at the University of Kentucky in 1994. She attended the residency program at Nassau University Medical Center in New York. Shortly after completing her residency, she began her private medical practice in Louisville, Kentucky as the fourth partner of Women’s Healthcare, now known as All Women OB/GYN. Dr Deeley’s practice philosophy is to combine personal service with high quality medical care. She has gained a special interest in evaluating and treating hormonal imbalance both in peimenopause and menopause. Dr. Deeley has a special interest in optimizing a woman’s health using multiple approaches including hormone replacement as well as nutritional supplements. Dr Deeley is married and is the proud mother of a son, Mason. Hobbies include staying active, reading, walking her dog and practicing sports with Mason.